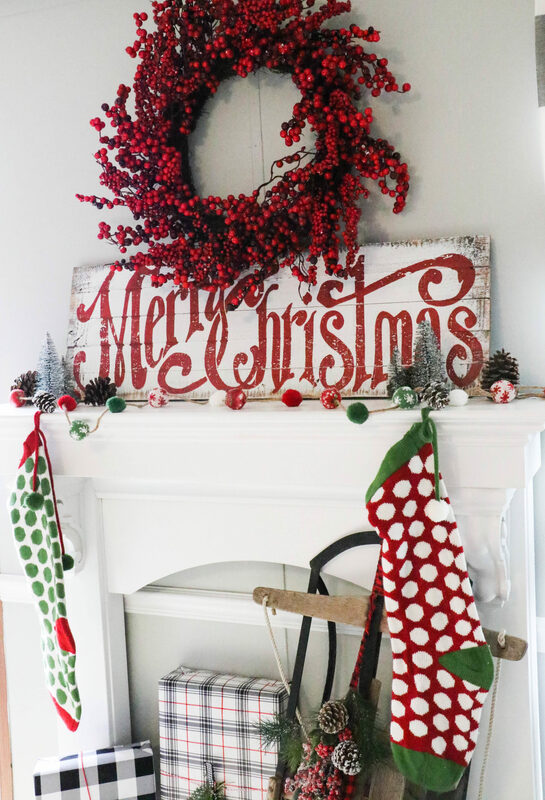 I get questions all the time about how to decorate a Christmas mantel! And listen, I LOVE to decorate a pretty mantel…but here is the deal. You all know I didn’t HAVE a mantel this year, right??? 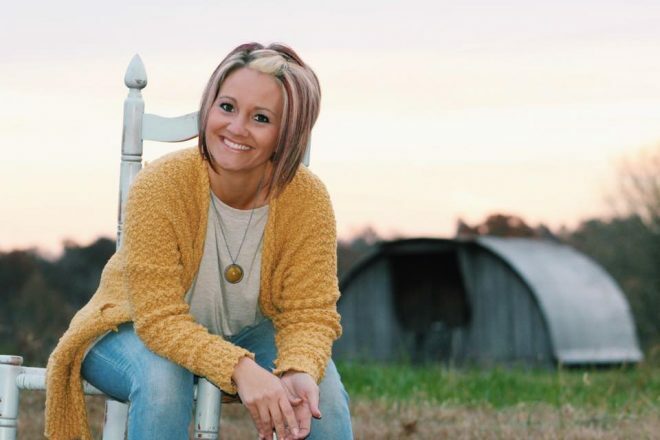 You see, if you have followed along with me for any length of time, you know I am living in my single wide mobile home while we build our dream home on our land right in front of us! 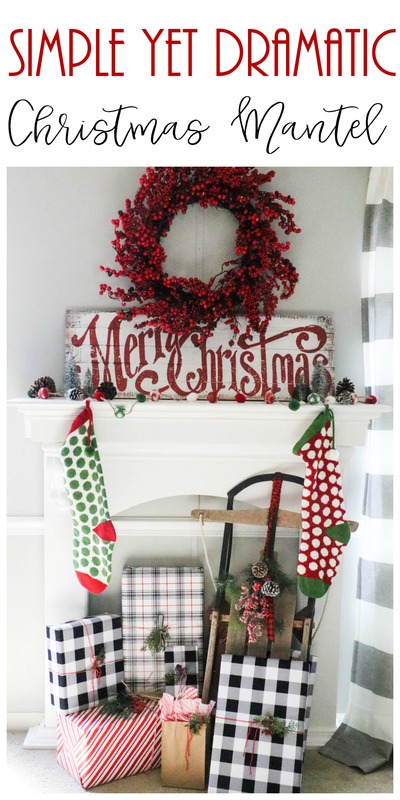 SO…since I didn’t have a beautiful mantel to call my own this year, but my peeps wanted some ideas on decorating- I did what any good blogger would do. I had my contractor MAKE me a mantel! This mantel will also be used in my master bedroom in our house, so it wasn’t made JUST for this- but in a way, it kinda was (so feel special)! While there are millions of ways to decorate a Christmas mantel, I decided to go with what I would like to call “Simplistic Drama”, using 3 key items from Kirkland’s! Y’all know that is practically my home away from home! Kirkland’s has three holiday collections- All Through the House, Very Merry and Winter Wonderland! With this many options, you are SURE to find something that fits YOUR decor style! 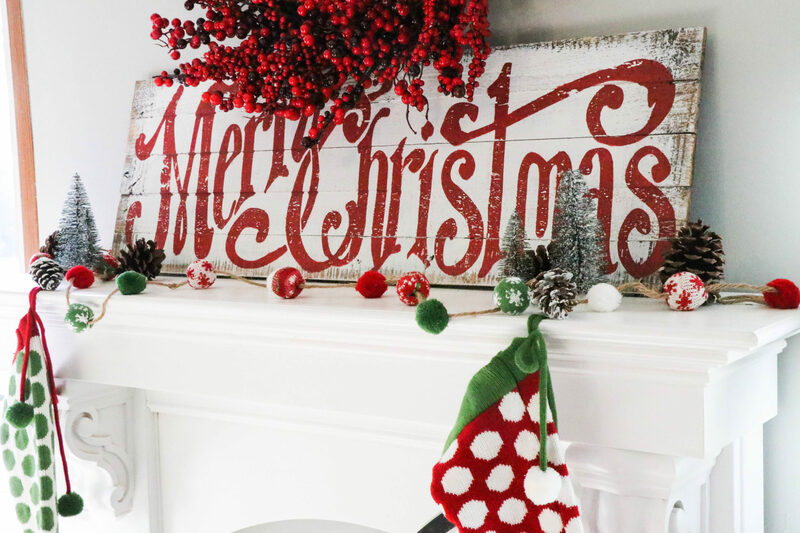 Let me show you what I found, and how I used these elements to create my simplistic yet dramatic Christmas mantel! First let’s talk about this AMAZING berry wreath. This sucker is HUGE, y’all. This is totally part of the drama feature…and even though it isn’t “sitting” on the mantel- it is a vital part of the entire setting and makes a very bold statement with one of my favorite Christmas elements, berries! 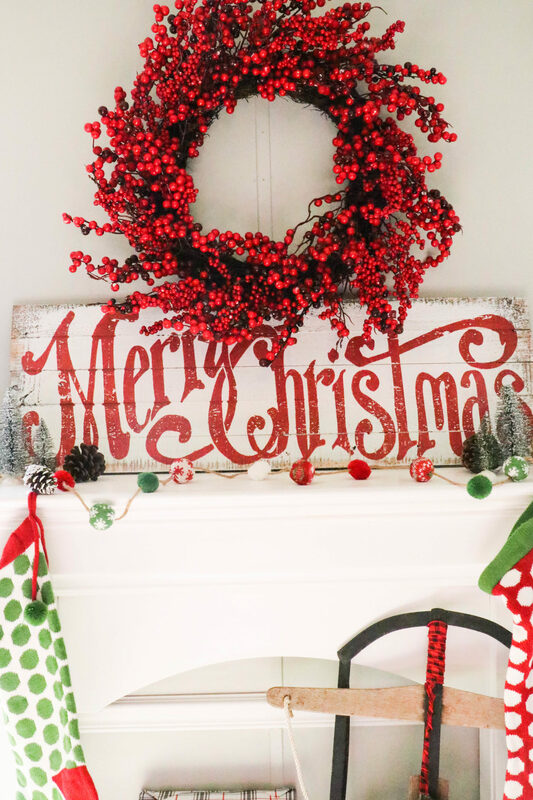 Another part of this mantel that has me oozing with excitement is my Merry Christmas sign! This sign is not small- so it filled my entire mantel, which I LOVED. It really stood out and shined with old charm goodness! 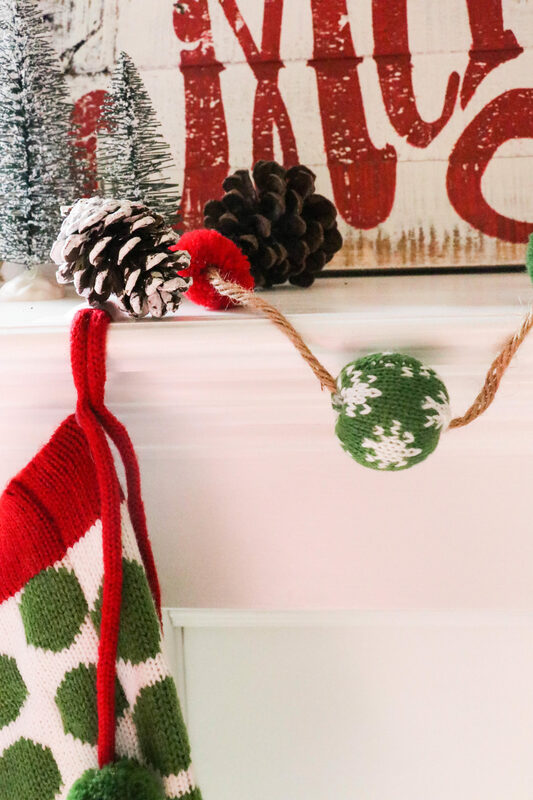 And my 3rd item that I got from Kirkland’s was this adorable little ball garland! How stinkin’ cute is this?? I mean, it looks like a little sweater! It was a perfect addition to add some color and fun to an otherwise pretty dramatic mantel- and I loved it! I paired it with some old sweater stockings that I have had for years, and they looked like they were meant to go together! With these 3 items from Kirkland’s, I was able to create a mantel that had both drama and simplicity. 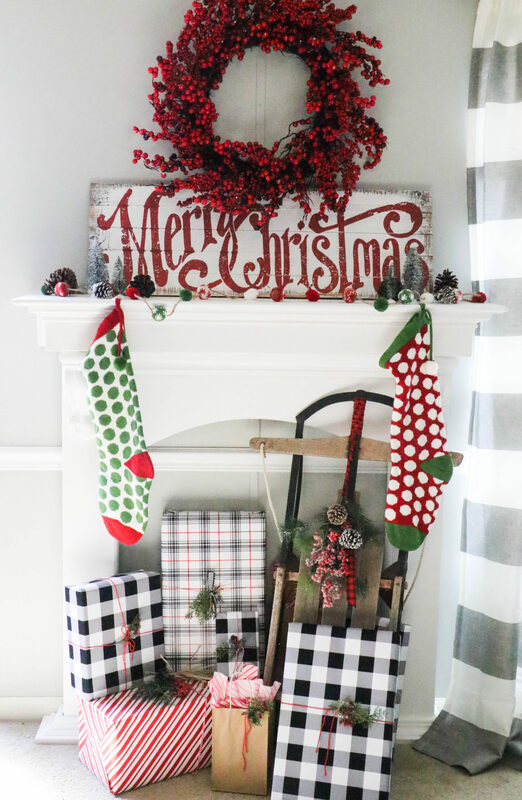 By adding some pine cones and $1 bottle brush trees, along with a few wrapped gifts and an old sled that has been in the shop for years…this mantel is not only DONE, but it was easy and turned out simply gorgeous! If you love it as much as I do, why don’t you pin it so others can enjoy it too?!?! Your decor is absolutely gorgeous.